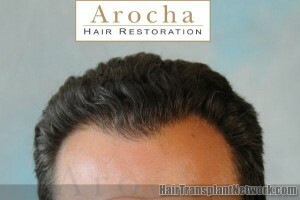 We recently posted photos on the Hair Restoration Network illustrating the results of a 2,000 follicular unit transplant. 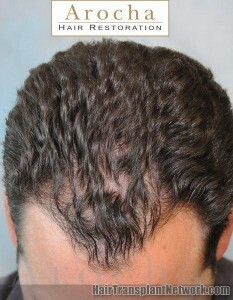 The 35 year old male patient had a norwood III condition and wanted to restore and thicken the frontal hairline. 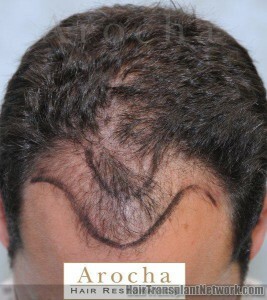 After a thorough examination and a discussion with the patient about his goals, Dr. Arocha recommended a 3,000 follicular unit procedure, which would have achieved even more dramatic and life-changing results. The patient elected to do 2,000 follicular units to start. Below are a few of the photos we have posted. 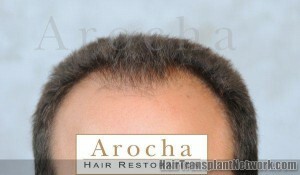 We encourage you to visit the Hair Restoration Social Network to see the complete portfolio of before and after shots.